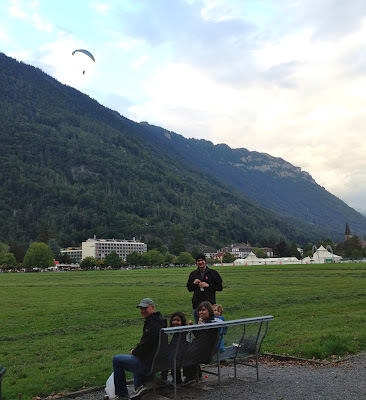 After our morning at Grindelwald and afternoon in Brienz, in the evening we headed back to base camp in Interlaken to watch the paragliders land while eating a grocery store dinner. Pete's parents left for Zurich early the next morning, and we headed back to Luxembourg. On the way back we stopped just briefly at the town of Spiez on Lake Thun - basically just to say we at least looked at the other lake. 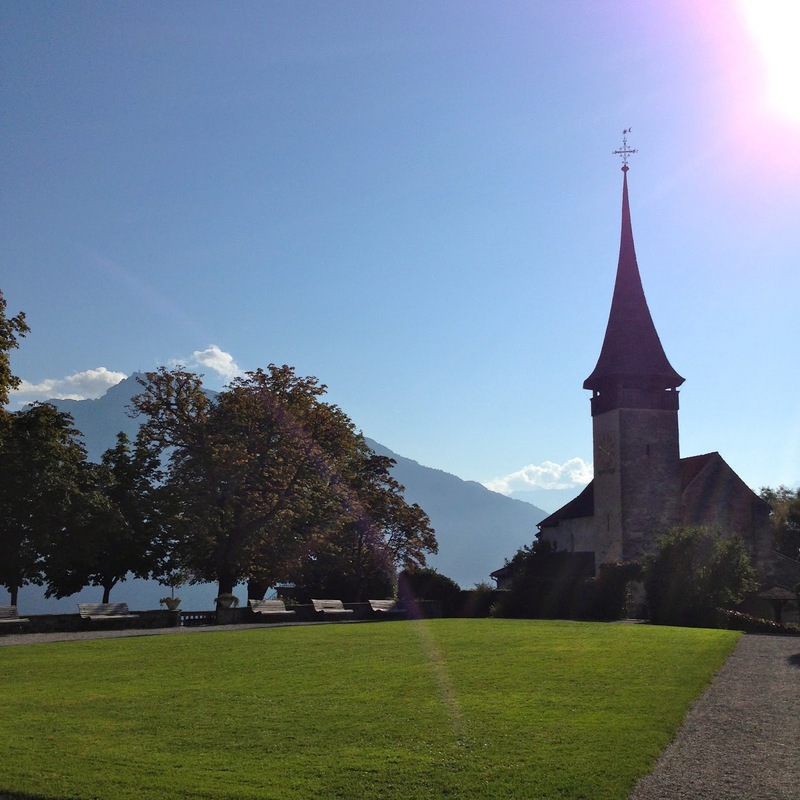 We found a little castle and chapel by the lake in a lovely park-like setting. 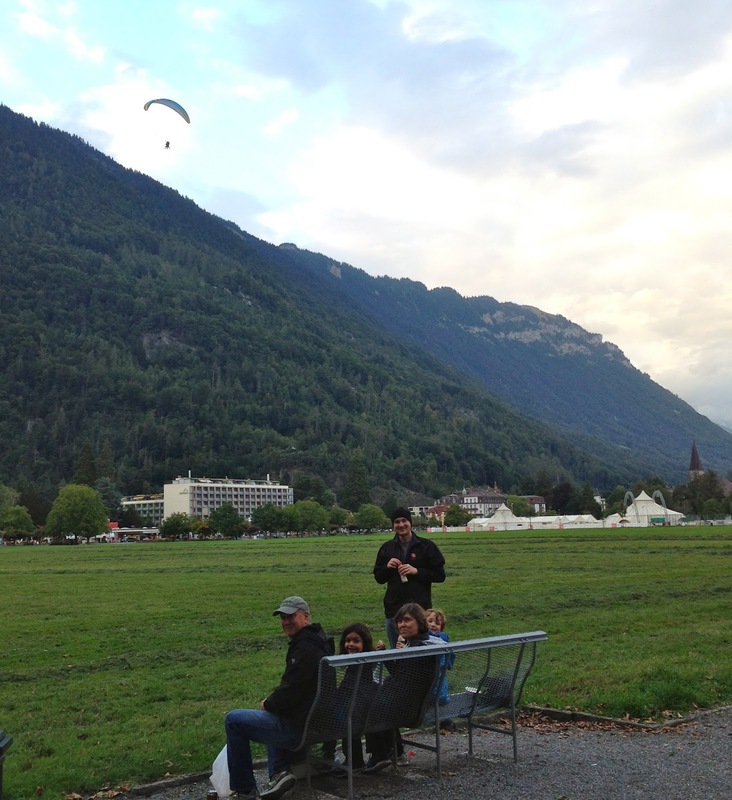 And that's about it for our 2-days-and-3-nights-first-time-in-Switzerland.